Most of us have this false understanding of what drowning actually looks like in real life – especially when it comes to kids. We imagine that a drowning child flails their arms and splashes in the water while screaming out loudly to their parents for help. But in reality, an actual episode of drowning doesn’t look anything like the dramatic event that is programed into our brains. In fact, it takes a very specialized understanding of drowning and a well-trained set of eyes to be able to identify when a swimmer is in trouble before it’s too late. Experts in water safety continually preach to parents and lifeguards that drowning is a very deceptive event and is perhaps most ironically characterized by silence. The Instinctive Drowning Response, a phrase coined by Francesco Pia, Ph.D., is the natural human reaction that people employ when they perceive a risk of suffocating underwater. Pia explained that these clarifications do not mean that a person who is yelling and flailing around in the water isn’t in any trouble in the water, but rather that they are experiencing aquatic distress. Aquatic distress occurs before the Instinctive Drowning Response kicks in, but it is not always present in all cases. The primary difference between someone in aquatic distress and the Instinctive Drowning Response is that a person in aquatic distress can still assist in their own rescue by grabbing lifelines and other rescue equipment. The bottom line here is that the most common indication that a person is drowning may be the fact that they don’t look like they’re drowning. In fact, they may not appear to be doing much of anything, which is a sign that the Instinctive Drowning Response may have kicked in. Children and Drowning in the U.S. According to the Centers for Disease Control and Prevention (CDC), drowning is the second-leading cause of accidental death in children under the age of 15 in the United States. Motor vehicle accidents are the leading cause of death in children in the United States, also according to the CDC. And of the 750 children who are statistically expected to drown throughout a given year, 375 of them (50 percent) will do so within 25 yards or less of their own parents or another adult. 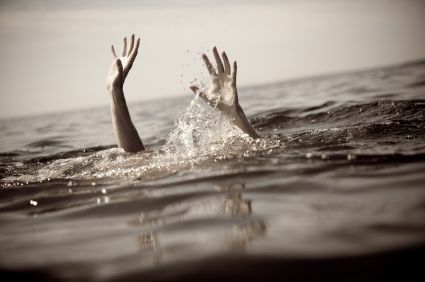 Pia says that some studies analyzing individual episodes of drowning have found that often enough the parent is even paying attention to the drowning victim without realizing that the child is in distress. The CDC reports that a child’s parent will actually witness the child drowning in approximately 10 percent of drowning incidents nationwide, giving even more credence to the notion that drowning really doesn’t look like drowning – or at least not what most of us think drowning looks like. Child injury claims can be complicated, especially if a parent is involved in the case as a witness. It is always a good idea to consult with an experienced child injury attorney to learn about your legal rights if you child has been injured due to the negligence of another party. Call Davis Law Group at (206) 727-4000 or use the confidential contact form on this page to learn more about your legal rights as a parent of an injured child, or to request a free legal consultation with our award-winning team.